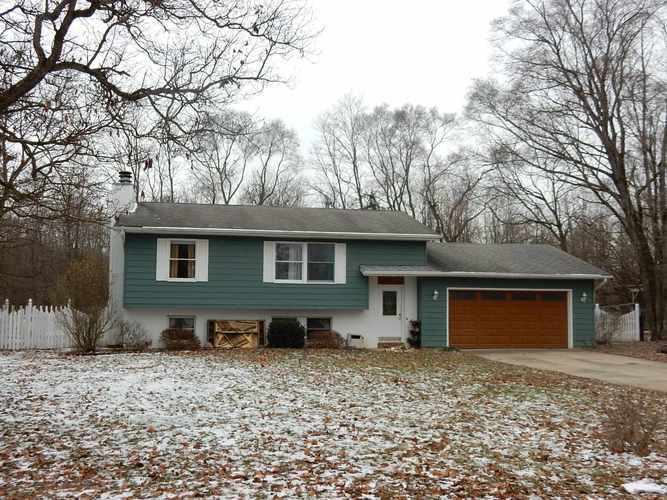 52075 Decker Drive Elkhart Indiana - Access to Heaton Lake & Private Beach area!! Great price & access to Heaton Lake great fishing lake & skiing is from 1-4PM. 2-3 bedroom, 2 bath home with unique kitchen. Back-lite Glass panel doors can easily be changed to whatever you prefer. Living-room maple floor came from Northside Gym with performances by Bob Hope, Hulk Hogan, Shawn Kemp, Skyler Diggins & many more! Seller removed the 3rd bedroom wall in lower level & turned it into an office that is open to the family room. Wood-burning fireplace, fenced yard & attached 2 car garage. Listing provided courtesy of RE/MAX 100 Elkhart.